that graze and feed, that moo and chew and lay and play and make the milk your body needs. 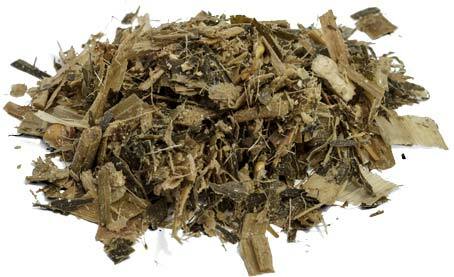 A mixture of fermented plant matter loaded with vitamins, silage is a seasonal food cows enjoy several times throughout the year. 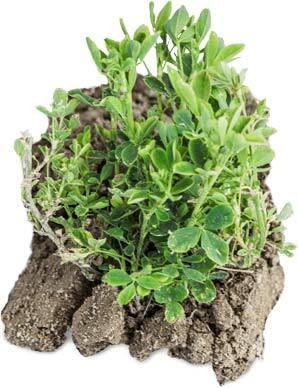 The same green stuff you’d recognize from your yard. In California, pasture-based grazing primarily occurs on northern, coastal farms. 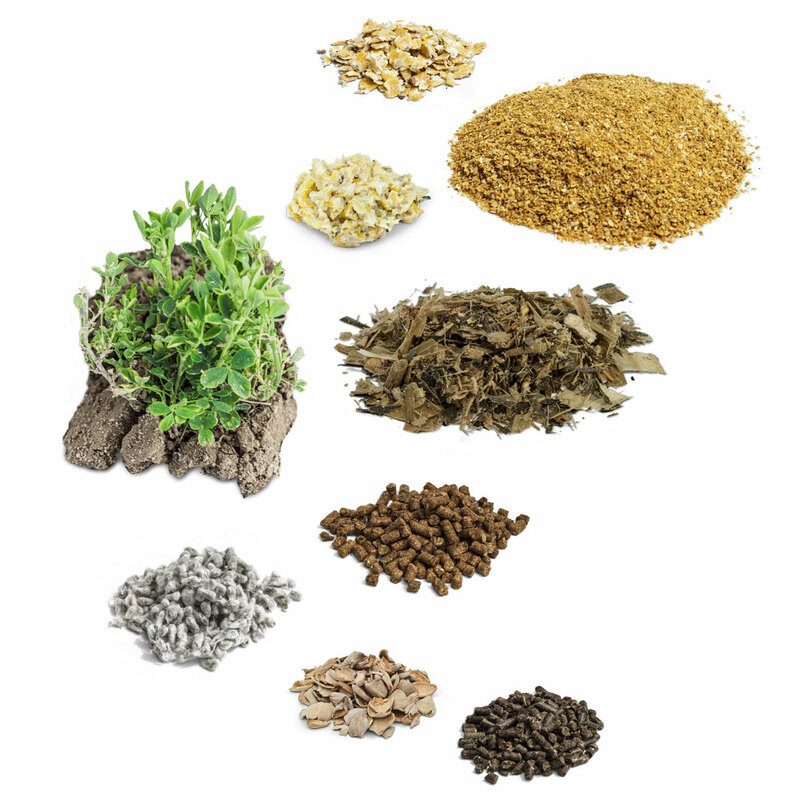 A mixture of grain, soy and other ingredients, it provides cows with food rich in energy. Cows love citrus, too! 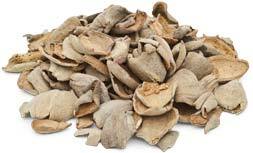 The dried pulp from grapefruits and oranges is an excellent source of calcium. This corn has been heated to 200 degrees to make it soft and flaky. It helps our cows produce an extra 6 pounds of milk per day! Our cows need energy! 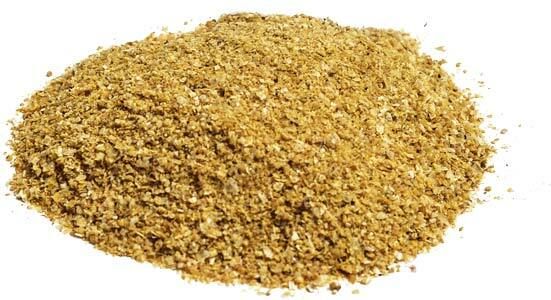 Corn gluten gives our cows the protein and energy they need to produce nutritious milk. Not only do these add a tasty crunch, they also provide a healthy boost in fiber. Turns out those cotton-pickin’ seeds aren’t good for nothin’ after all! They’re a great source of fat and fiber. MMMM this stuff tastes good…at least the cows think so. It’s also packed with fiber keeping our cows' digestive tracts happy. 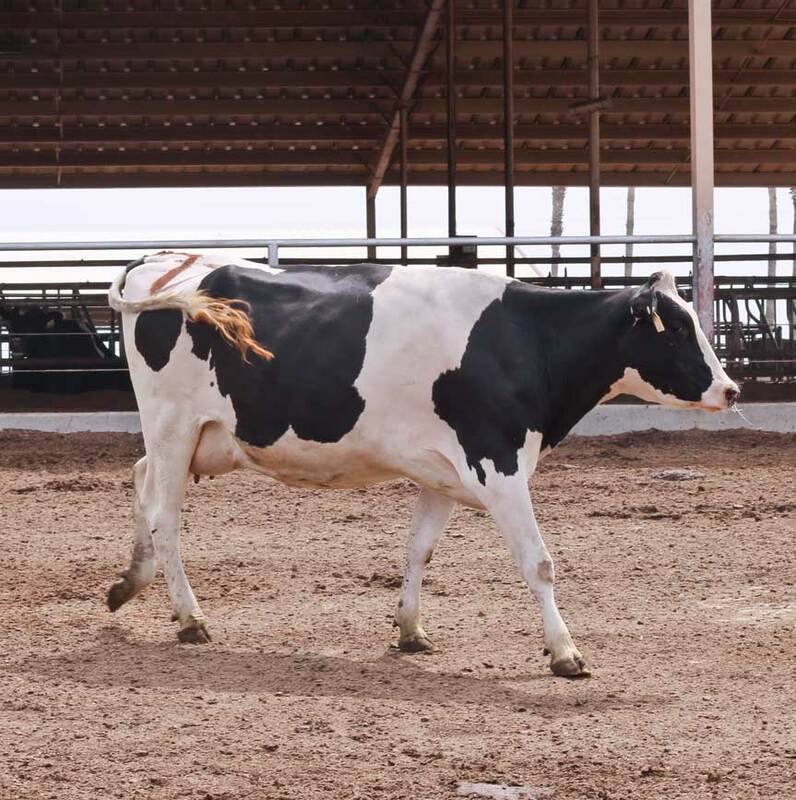 The ins & outs of California dairy cows. Cows belong to a group of animals called ruminants. This means they have four stomach compartments (not four stomachs) that each play a different role in the digestion of food. 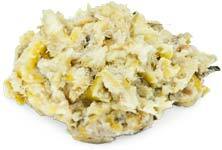 The four parts of the stomach are called, in order, rumen, reticulum, omasum and the abomasum. When cows “chew their cud” they’re chewing small wads of feed that have been returned to the mouth to continue the digestion process. Each cud is chewed somewhere between 40 and 60 times (for about one minute). It takes 50 to 70 hours for a cow to turn grass into feed and most cows give 9 gallons of milk a day! 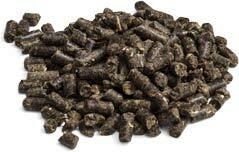 The nutrients from the feed are turned into milk by four mammary glands found in the udder. The droplets of milk are drained through an opening called a duct into the udder. What happens when the milk leaves the cow? 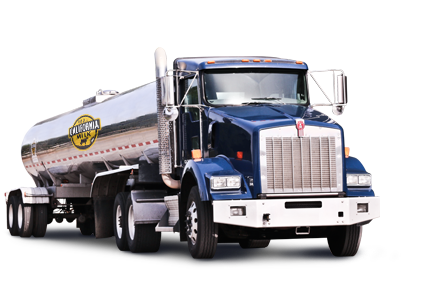 The milk travels to a refrigerated holding tank where it’s held until it can be picked up by a refrigerated tanker. Usually within a few hours. The large, stainless steel tankers keep the milk clean and cold en route to processing before ultimately reaching you at your favorite grocer. 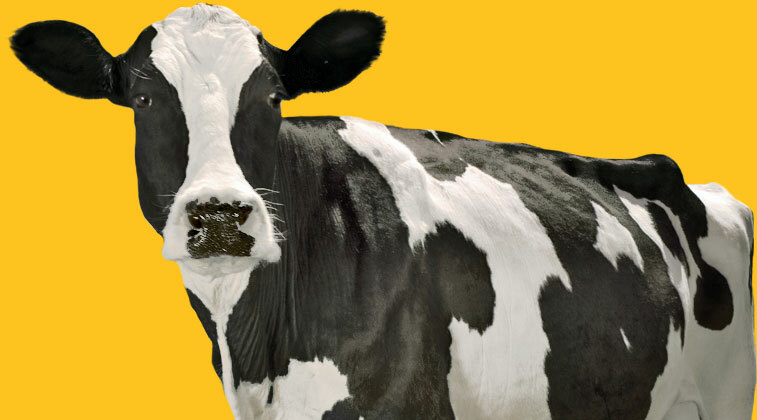 Satisfy your cow curiosity with some of the fun facts of dairy. Roughly 2,000 years ago, migrant tribes settling in the Netherlands crossbred black cattle from the Batavians with white cattle from the Friesians, producing what we know today as the Holstein-Friesian. These cows began their journey in America after Winthrop Chenery purchased a Holstein cow from a Dutch sailing master who arrived in Boston in 1852. The cow had provided the ship with fresh milk during the voyage. 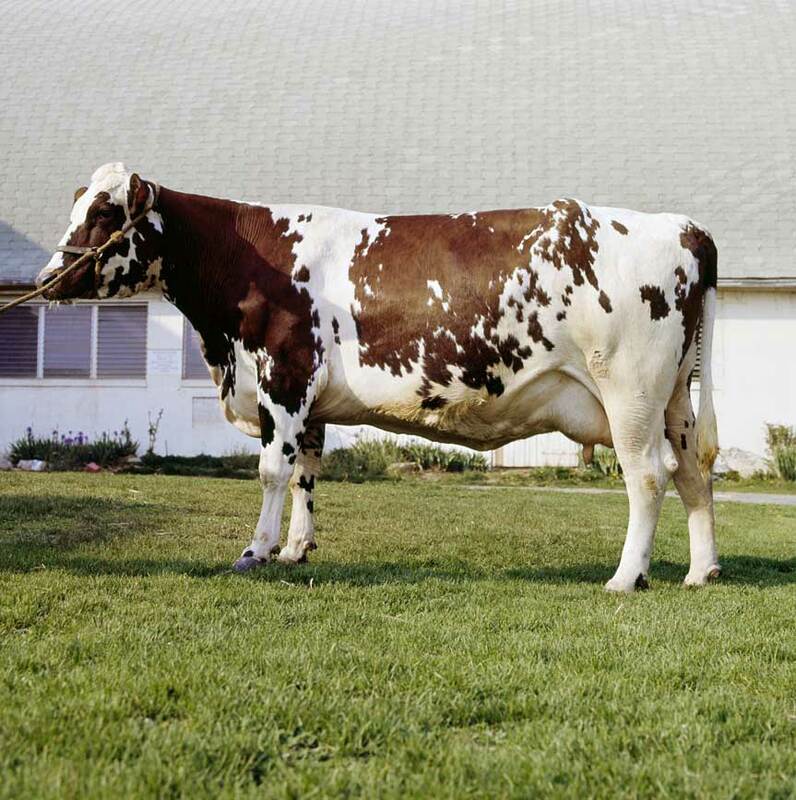 Chenery soon began importing more Holsteins with other American breeders, helping to establish their presence in America. 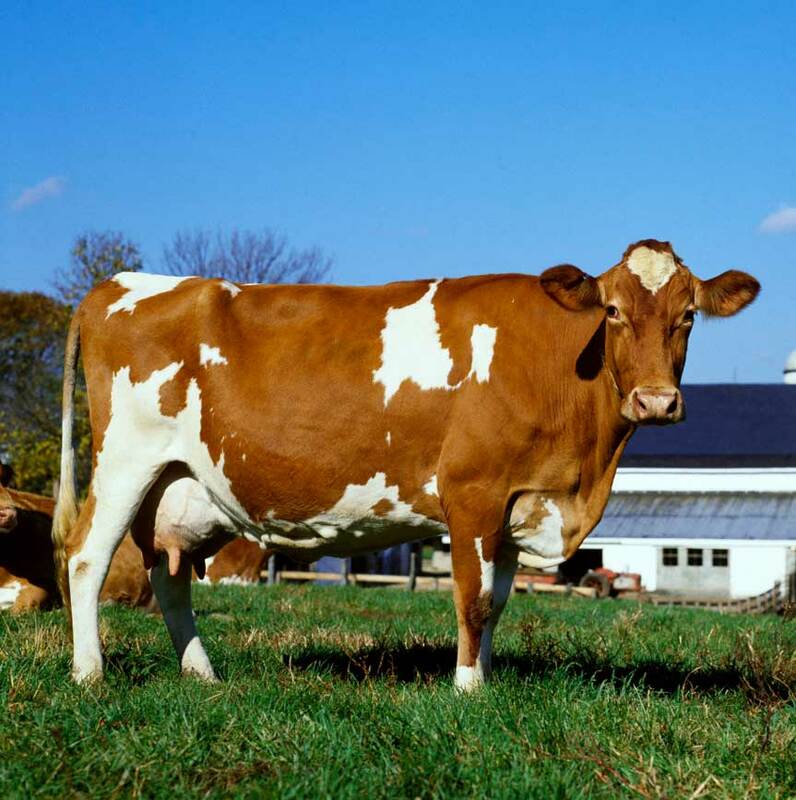 The origins of the Jersey cow are something of a mystery. 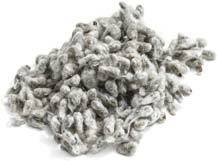 However, they were originally bred on the British Channel Island of Jersey as their name implies. Avg. Weight: 880 – 1,100 lbs. 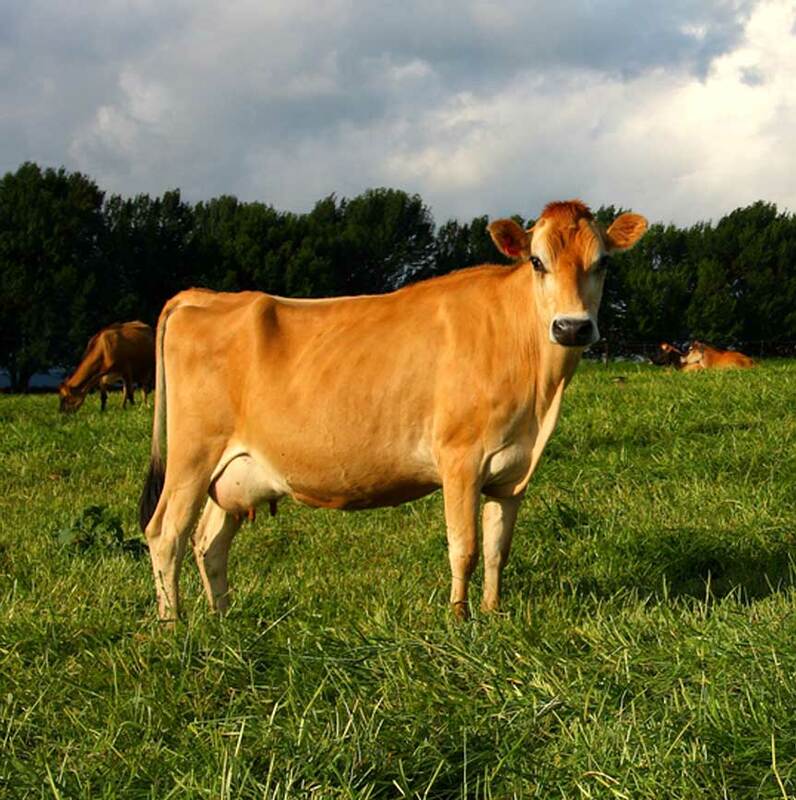 Quite possibly the oldest breed of dairy cattle in the world, the Brown Swiss originated in Switzerland around 4000 B.C. The Brown Swiss first appeared in the US in 1869 courtesy of Henry M. Clark from Belmont, Massachusetts, who purchased a bull and seven heifers from Col. G. Burgi of Arth, Switzerland. 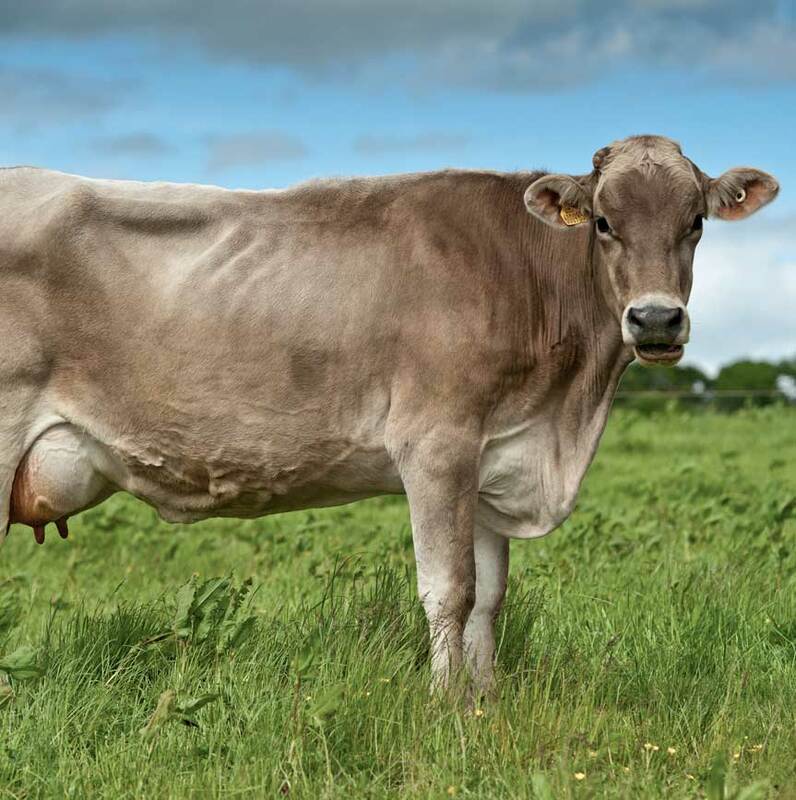 Brown Swiss cattle are very adaptable to different living conditions and are able to produce milk until they are 15 years of age. On average, Swiss cows produce more than 25,581 gallons of milk in a lifetime. Avg. Weight: 1,200 – 1,300 lbs. In 960 AD, Robert Duke of Normandy sent a group of monks to the Isle of Guernsey to educate the native people. The monks brought along their best cattle – the Norman Brindle and Froment du Leon – to create a new breed, the Guernsey. Their arrival in the US occurred via Captain Belair of the schooner Pilot in September 1840. His three Norman Brindles, along with the two heifers and bull from the Isle of Guernsey belonging to Captain Prince, were the original stock of the Guernsey herd that continues today. The Ayrshire originated in County Ayr, Scotland, some time prior to 1800. Their first appearance in America occurred in Connecticut around 1822. The breed is still very popular in New England as the environment is very similar to its native Scotland. Avg. Height: 50 - 53 in. 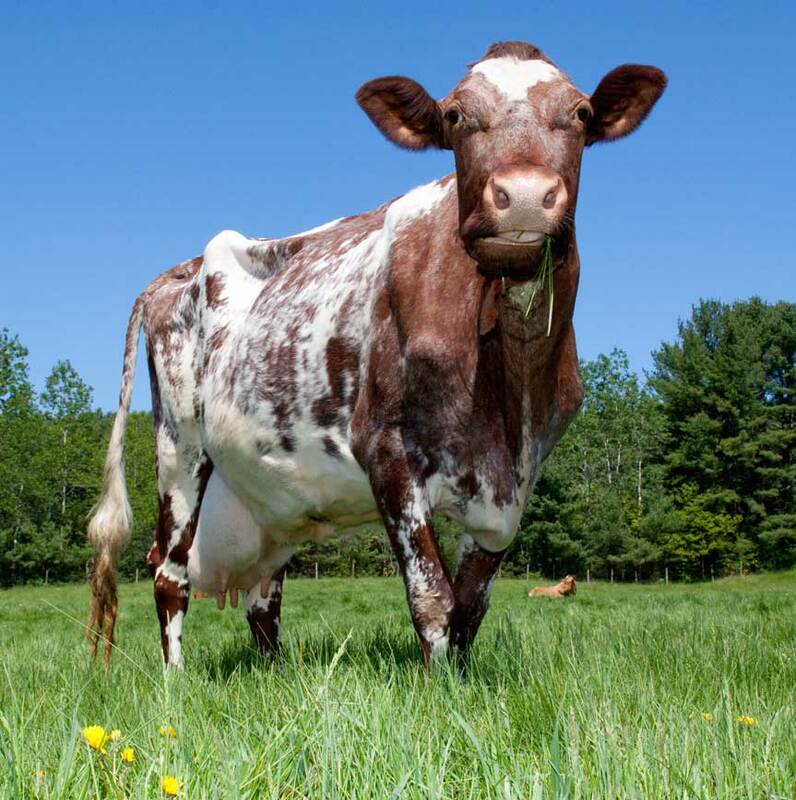 One of the world’s oldest breeds, the Milking Shorthorn originated in Northeastern England in the Valley of the Tees River. The first Shorthorns arrived in Virginia in 1783, quickly becoming favorites of the pioneers for their milk, meat and ability as work animals. Avg. Weight: 1,410 – 1,500 lbs.